Animators make movies, bring video games to life and help build apps. 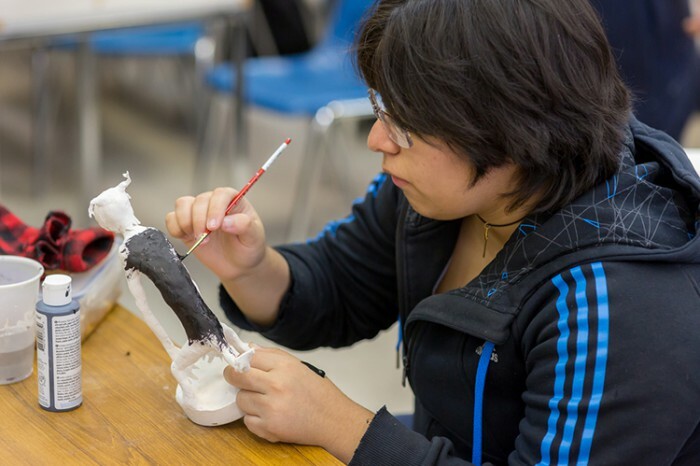 In this program, students can specialize in character animation, 2D/3D animation, gaming, visual effects, computer graphics, web design or mobile applications. You could work in 2D and 3D computer animation, game design, game content creation, visual effects or web design and development. Positions include computer animators, CGI artists in the entertainment or game industry, media content providers, and web designers and developers. There is increasing demand for 3D artists in the architectural and industrial fields. Entry-level salaries in these industries vary from $35,000 to $39,999. * Senior animators and supervisors can earn $100,000 and higher. Entrepreneurship and communications training also prepare students for freelance work. Mobile App Developer, BlackBerry Ltd. The latest workstations and editing systems. Leading industry software including Maya, Unreal 4 and the Adobe Master Suite. Tailor your studies in third year with independent production courses and a choice of streams in animation, visual effects or gaming. Get valuable on-the-job experience during a real world placement. You will finish the program with professional practices and job search skills, as well as an impressive portfolio of work. Proper understanding of audio and video elements and their usage is an essential part of the digital production workflow, whether the end result is used in broadcast, web or gaming applications. This course provides students with a technical foundation in AV, which will be applied as they progress through the program. Subjects covered will include: image acquisition, image processing, media file formats, CODECs, basic video editing, audio acquisition and manipulation, and graphics production as they relate to the digital AV workflow. Good communication abilities are essential, both in college and in business. Using a combination of lectures, exercises, group discussions and assignments, students in this course develop their written and verbal skills in order to express themselves with clarity and creativity. Adobe Photoshop is integral to all three years of Animation. The basics and beyond will be covered in Digital Imaging. There will be an emphasis on learning Photoshop tools vital to animation, compositing and web building. Production Design will introduce how to reinforce the concept of a project through colour, lighting, composition, textures, choice of components, character style, typography, motion, illustration styles, camera angles, framing and more. The course also builds skills in conceptualizing and sketching, and will touch upon animation history and art direction styles. For any project, planning is essential to a successful outcome. In this course, students learn how media projects, both large and small, are guided through the development process. Industry roles, concepts and workflows in animation, visual effects and gaming will be examined in order to give participants essential tools for planning and executing their own projects. This course provides the learner with an introduction to HTML and the web environment. It includes web design principles, browser and mobile compatibility, image formats, accessibility and other design parameters. Photoshop and other graphic creation tools will be introduced. Layout, content creation and CSS are major components of this course. Students will be able to create hand coded pages for the web at the end of this course. This course will introduce character design principles and intermediate animation concepts such as rigging, skinning/weight painting and animation tracks. Intermediate animation techniques will be employed to create useful animations for game and film. Students will be introduced to the basics of creating virtual environments for games and animation. Rendering, layers, composition, post-rendering FXs and other basic postproduction techniques will be introduced. Students will use various animation platforms to achieve a final animated product. In Communications 2, the emphasis is on visual communication. Beginning with the fundamental concepts of visual design and moving into theoretical concepts such as Gestalt principles and symbolism. Basic video editing concepts (i.e. compression of time/space, continuity, coverage, etc.) will also be introduced, including how editing is applied in cinematic storytelling and how it is used to persuade and manipulate audiences. Using the Unreal Engine 4, this course focuses on 3D game creation. Students will create game levels and will learn and apply concepts of interactivity. Students will learn how to build, texture and light realistic game environments. Students will utilize visual scripting tools to enhance gameplay and to apply design tools and principles. Students will integrate 3D models and textures they create into game levels they produce. Production Design 2 builds on the visual basics covered previously. There is a focus on 2D and 3D animation, visual design for websites and games, special effects and motion graphics. 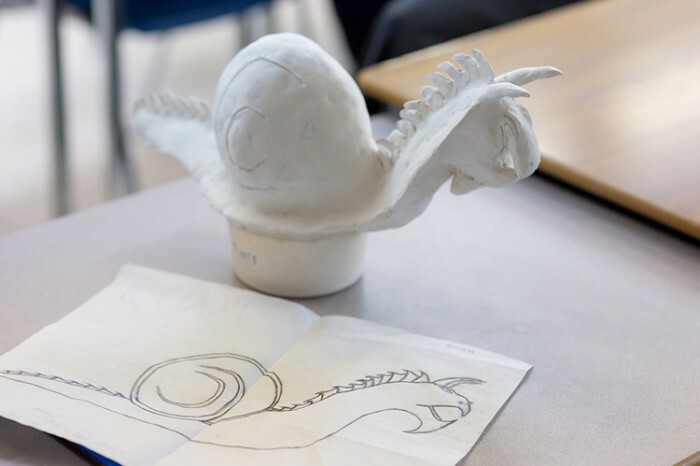 Students consider specifics such as developing conceptualizing abilities, research, strengthening skills in composition, sketching, typography, colour and digital illustration. This course will provide an introduction to programming basics and how they are used in the animation and game industry. To work in the animation/game industry an understanding of how programming works is very important. The course includes introductory programming, problem solving and logic. Pseudo code is used to give an understanding of logic and problem solving, and as a way to plan and execute programming tasks. In Project Management 2, participants continue to learn how media projects are carried to successful outcomes by looking at several case scenarios in detail. In anticipation of semester three and four group projects, students see the importance of working collaboratively and given strategies for ensuring successful collaborative ventures. Also included are the importance of contracts, schedules, budgets and deliverables for ensuring that projects come in on time and on budget. This course provides an introduction to web authoring software applications. Using Adobe Creative Suite will be the major component of the course. Subjects include search engine optimization and using CSS for style, positioning and proper page layout. Web design principles are emphasized. Rich media content, responsive design and mobile content creation are introduced and the use of scripts is explored. Using various animation platforms, students will explore intermediate animation techniques such as expressions, advanced materials and shader techniques, surface and FX shaders, advanced texture mapping (UV mapping, 3D painting) and intermediate lighting (light matching, light shaders, radiosity, HDRI). Advanced camera techniques (camera matching, match moving, camera shaders) will also be considered. Students will be introduced to FX animation, physics, hard and soft body dynamics, collisions, hair cloth and particles. Emphasis will be put on creating animation cycles for use in game engines. Students will use pose thumbnails, in between drawings, arcs, and video referencing to generate natural and dynamic animations. This course covers advanced AV topics including online editing, advanced character generation and motion graphics, and audio editing, mixing techniques and sound design. Students will be encouraged to use concepts and software in this course to create material for their personal portfolios and other projects. Digital compositing is the layering of images from various sources and formats to create a finished image. This course will use timeline-based and node-based compositing software to demonstrate various compositing techniques, including basic layering and compositing, colour and alpha keying, advanced matte extraction, media matching (noise, camera match/moving, film grain and colour lighting/matching), image-based operations, (filtration, colour-correction, morphing/warping, etc.). This course uses Unreal Engine 4 to apply game design principles and to create interactive environments. The course emphasizes game content creation using Maya and Photoshop. 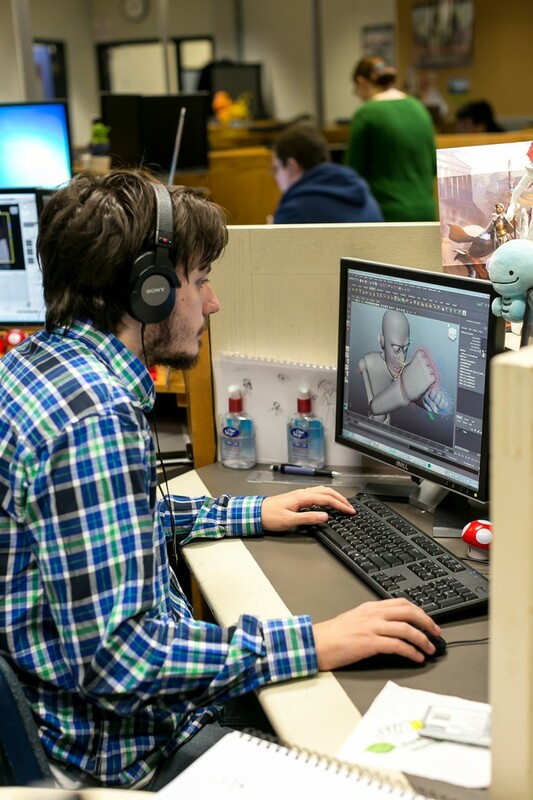 Models are created and animated in Maya which are then incorporated in Game Levels the students produce. Scripting and game design concepts such as physics, UVs, normal maps, particles, triggers and artificial intelligence will also form important elements of the course. The course includes discussions on game design and what makes games successful. Other concepts include game textures, lighting, weapons and testing. This course emphasizes project planning and the production pipeline for a year long group project. Students will plan, storyboard, template and budget a major project. The projects developed this term will be completed in Winter session. In this course adherence to timelines, professional conduct, quality of work, meetings, communication and deadlines are crucial. Students use all concepts learned to date and apply them to their group project. This course further builds on the theory and practice covered previously and focuses on art direction in 2D and 3D animation, visual design for websites and games, special effects and motion graphics. To build a strong frame of reference, the class will view and deconstruct the industry’s best. 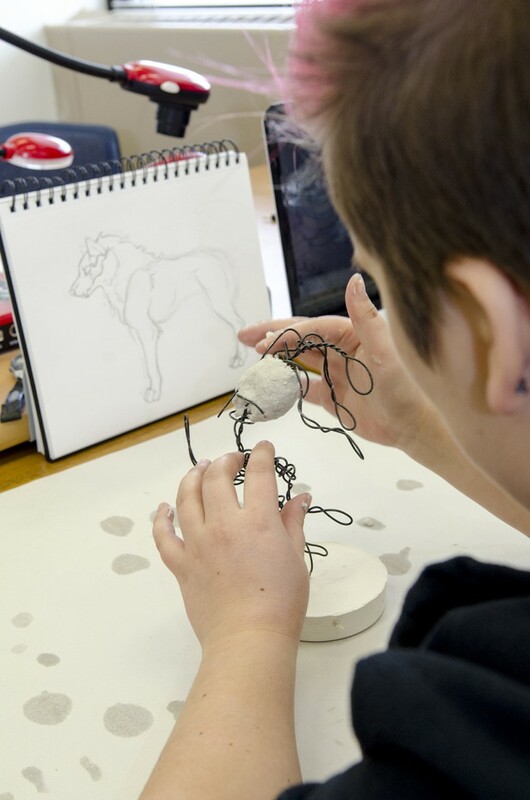 The class will also do assignments in sketching, art history and maquettes/character development. Students work collaboratively on a group project and focus on project development, including concept, overall look and art direction style, completing animatics and incorporating feedback from faculty and student colleagues into their project. Students will learn advanced scripting for game applications and animation. Students will use Python to understand programming principles. 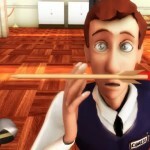 Students will incorporate models and scripts created in Maya to create functioning animations. Students will apply concepts to create code which will control in-game elements and create animation sequences. Students will create rich media content for the web. This course will cover drawing, basic animation, importing, exporting, audio, video, interactive navigation and content creation. Students learn the fundamentals of good web design using interactive media content. This course also includes information on file compression, vector graphics, symbols, libraries and ActionScript. 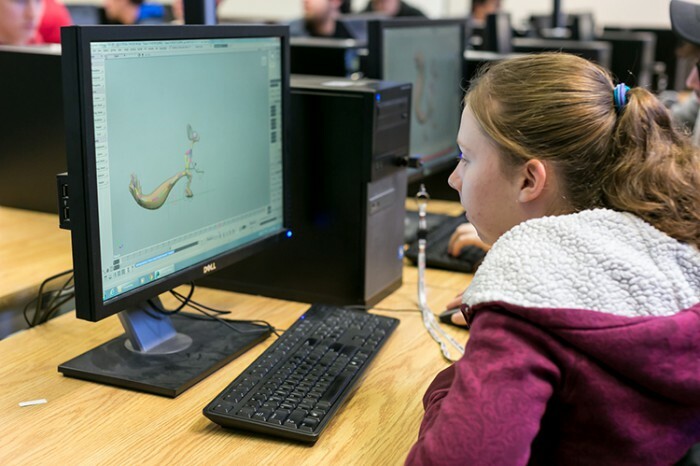 Using various 3D animation software platforms, students will explore advanced character modelling and animation techniques. Special emphasis will be placed on creating photorealistic characters in ZBrush and Maya as well as facial animation and lip-synch. Students will learn to produce motion capture files using MOCAP and integrate them into Maya and Unreal Engine 4 using Motion Builder. Emphasis will be placed on developing industry ready character animation skills. Other topics include creating character, model, texture and animation content for games. Students will use content produced in this course for the Unreal game levels created in relative courses. This course helps students create believable characters for cinema and game. Building on earlier courses, Character Design advances the study and development of characters from concept to completion. Students improve their skills in character design, acting, character motivation and visual storytelling through performance. There is a strong emphasis on performance and acting for animation and game. In this course students design a game from the ground up and document the design. Everything from idea to concept art, characters, level design, story, and supporting game development documents to researching the game market and game testing. Other topics include game engines, game genre types, storytelling and interface design. Students will understand how to test games, give feedback and use feedback to enhance game products. As part of the development process the Unreal engine will be used to emphasize certain design principles. This course emphasizes a team approach to project planning. Students learn to plan, storyboard, template and create a major project. The group project developed last term will be completed this term. In this course adherence to timelines, professional conduct, quality of work, meetings, communication and deadlines are emphasized. Project completion, production workflow and presentation are major components of the final mark. In this course students will use all the concepts learned to date and apply them to their group work. Production Design 4 builds on all previous courses and delves deeper into human and creature anatomy, character design, 2D animation, world building and concept art using a variety of tools and techniques. Typography and design will also be explored in greater depth this semester, with a focus on branding of final projects. This course will move into more advanced programming using ActionScript. Fundamental programming concepts will be studied. Students will build interactive questionnaires, control complex animation, load external movies and sound files, create a jukebox, build a preloader that displays percentage loaded, apply advanced sound, sync sound, create moveable windows, sliding menu drawers, scrolling text boxes, and controlling video.Students will learn outputting and publishing with HTML and be able to apply Flash Detect features. They will discover how to design larger scale titles using a modular approach. Students will learn how to develop a design strategy. In this course, students will create advanced portfolio pieces that demonstrate their mastery of character design, architectural/mechanical, modelling, VFX, lighting and animation. Students will be able create industry-ready work for use in game or feature film and produce several highly finished, photorealistic, animated pieces for use in their final projects and their demo reels. This course explores verbal, non-verbal and written communication skills in the creator’s professional environment. Explorations include building listening and speaking skills; conducting and being a helpful part of business meetings; responsible client management; creative presentations and selling ideas; and becoming aware of professional conduct. Our skills will be acquired through discussions, observations of self and others, presentations, role-playing exercises and assignments. This course will emphasize individual approach to project planning. Students will plan, storyboard, template and price out a major project. The project developed this term will be a personal portfolio piece. In this course, students will use all concepts learned to date and commence work on a video game for Unreal Engine 4, website or a short animated film. Using the techniques learned in previous Production Design courses, students act as art directors for their final projects. A collaborative approach will be used in this course to generate a final project for the student’s choice of an animation; a video game with original material; a live action/special effects piece; or three fully functioning websites with e-commerce capabilities. The student will focus on developing the look and feel for this project. This course allows the specializing student to learn advanced camera, lighting, shading and rendering techniques. 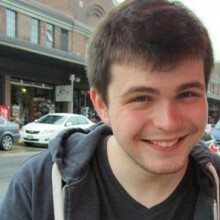 Emphasis will be placed on integrating CGI elements into live action backgrounds using camera tracking and advanced compositing techniques. Students will learn advanced facial animation techniques as well advanced rigging, muscle control, anatomy, advanced motion capture and advanced character animation. Emphasis is place on acting and performance, in order to create highly evocative and realistic character animations. Students will learn to create advanced particle and other VFX effects, as well as crowd simulation. This course helps students to better understand the game industry in which they are seeking employment. 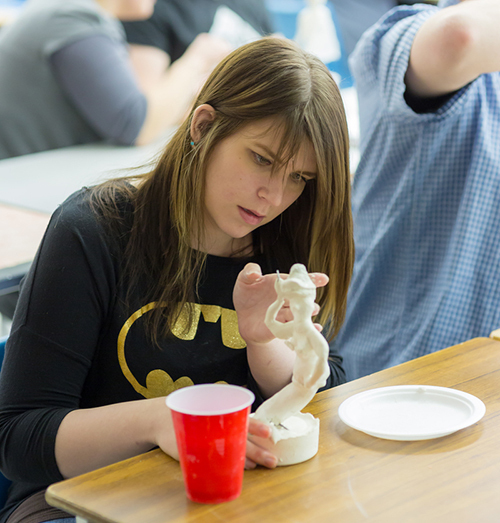 Students participate in advanced discussions of the game studio environment and the game production pipeline from concept to design, model and art creation, level building, compiling and marketing the finished product. The course will cover moral, ethical and psychological aspects of games and game play. Much of the course will focus on the students’ major productions, providing them with directed content and one-on-one consultation. Building on an intermediate knowledge of web development, students are encouraged to move into an advanced path in web development. As a result of exploring/researching current web trends and through consultation, students will be expected to present a proposal for a project focusing on a specific web technology or system. This will be manifested through presentations and a project. Some possible avenues of discovery include, but are not limited to, content management systems such as Joomla, e-commerce and security systems, social networking software, rich media content delivery and management, advanced Flash development, ActionScript 3.0, XML, PHP, mySQL, Flex and mobile content delivery (iPhone, Blackberry). In this course, students create believable characters for next-generation game engines and animated films. Building on earlier courses, Character Design 2 masters the study and development of characters from concept to completion. Students intensively hone their skills in character design, acting, character motivation and visual storytelling through repeated performance. There is a strong emphasis on production-quality animation for film and game. This course is a continuation of Independent Production 1 and will emphasize project planning and production. Students are allowed time to produce content for their major third-year production/portfolio piece. In this course, students use all concepts learned to date and finish their major project, which may be a video game mod, a series of websites or a short animated film. Students use all the skills they have acquired to complete a final new-media-based project. Aspects of this course will focus on design and art direction for the student’s major individual project for their demo reel, as well as a self-promotional website. The ultimate goal is to conceive and produce a consistent visual presentation for their demo reel. The other component of this course will focus on the production process to create the major project and the promotional materials including timelines and adherence to production schedules. This four-week field placement is intended to provide the student with direct work experience within the student’s area of specialization. This 140-hour placement will allow students to gain specific experience and to be integrated in a work team. In this course, students learn the latest methods and best practises on how to establish and nurture business relationships. They will learn what is expected in the industry and how to get an edge on the competition through research exercises and the building of collateral. Students will learn job search techniques and create materials needed to land employment upon graduation. Students will develop a new media portfolio designed to assist in their internships and eventual job placement. The portfolios will demonstrate their understanding of all elements of the program. Eligible Animation diploma graduates have the opportunity to enter York University's Consecutive Bachelor of Education (BEd) in Technological Education program. Students need to budget for a placement in the sixth semester. Additional costs, such as travel, accommodation and parking may be incurred during the placement. Communications technology, IT and computer literacy, media arts, fine arts, presentation techniques. Three students from Loyalist’s Animation program were selected to participate in a Master Class with world-renowned animator Tim Burton in November 2010. The three students – Theo Wolff, Alex Bosch and Mark Schuenemann – were chosen based on their animation Opening Day, created during their second year of the program.